Tis the season for tulips everywhere and what better place is there to celebrate this time of the year other than Keukenhof, Nederlands (the Netherlands)? This past weekend we made a trip to Keukenhof to visit the biggest tulip garden and the flower parade in the whole wide world. 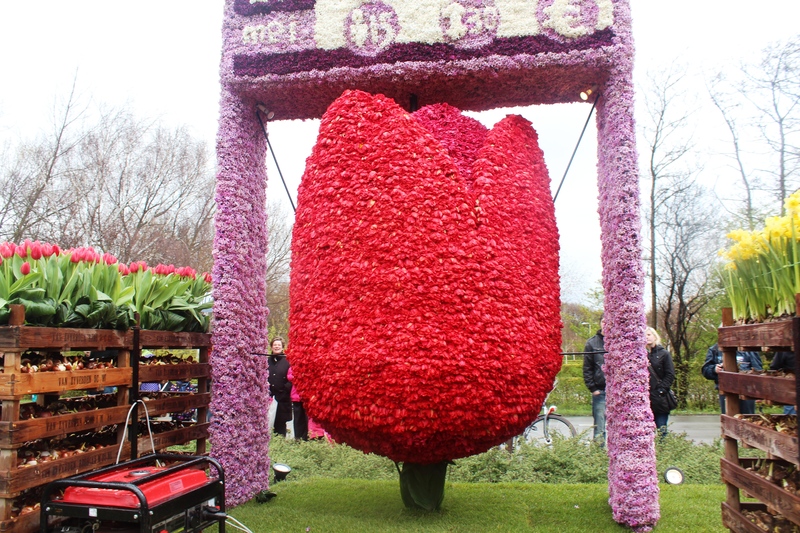 This is one of the three posts that I will share on our trip to Keukenhof. 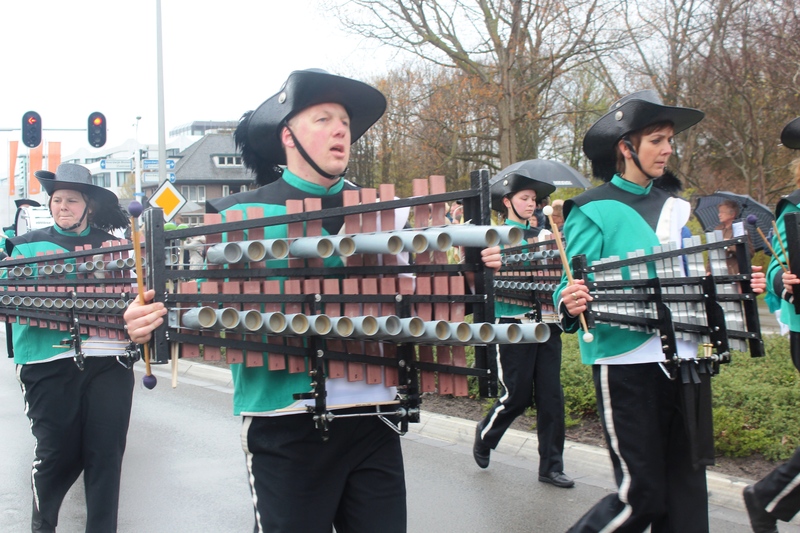 It was drizzling, raining, pouring…everything, but nothing stopped the most famous parade in the Netherlands. Hundreds and thousands of spectators gathered around the route to see this 40 km long parade with their umbrellas and rain coats. This annual event starts in the morning at 9:30 and ends at 9 at night (taking 2 breaks in the middle). The parade is called the “face of Spring”, which usually consists of about 20 floats and more than 30 motorcars all covered and decorated lavishly with flowers. This unique parade can only take place in spring when the hyacinths, tulips, and daffodils are in bloom. The theme of this year was “Communication”. You can see the colorful flowers, hear the bands playing their festive music, and smell the sweet hyacinths in the air. Thanks for stopping by my blog. 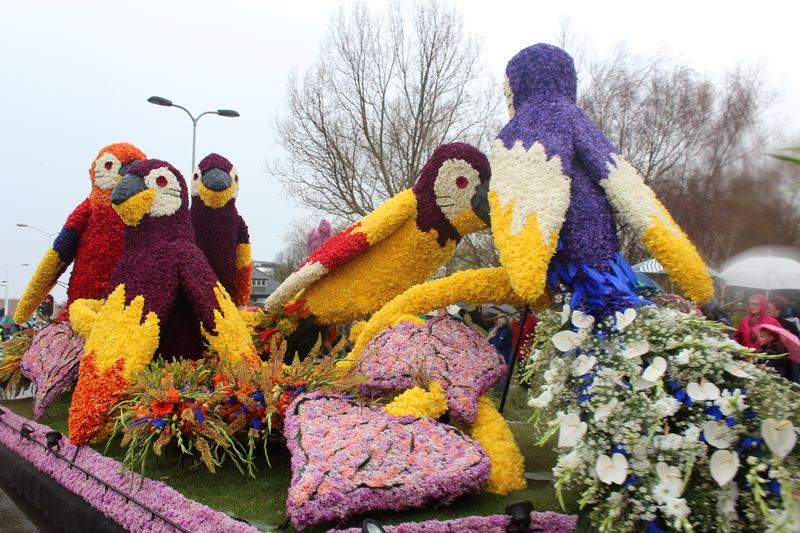 The flower parade looks brilliant. Lucky you to have travelled so much.